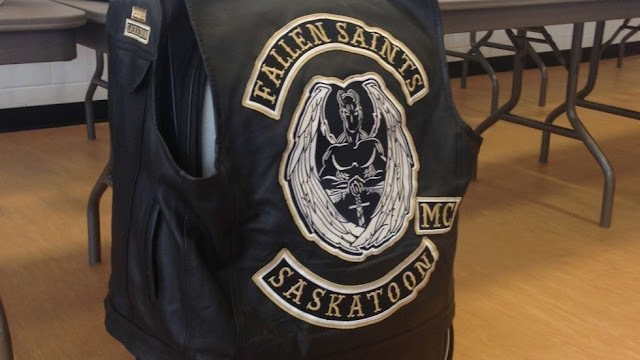 Saskatoon, Canada (September 27, 2018) BTN — A former informant who helped Saskatoon police bring down several motorcycle clubs in the Project Forseti case is now facing 26 weapons-related charges. Noel Harder, 39, was arrested Tuesday evening after police received reports of a man driving an SUV with a gun. Police said in a release Wednesday morning they found the SUV parked near the intersection of Powe Street and Rayner Avenue around 5:45 p.m. and conducted a high-risk traffic stop. The driver was found to be in possession of a loaded handgun, ammunition, a knife, an imitation firearm, bear spray, an ax and an undisclosed amount of fentanyl. 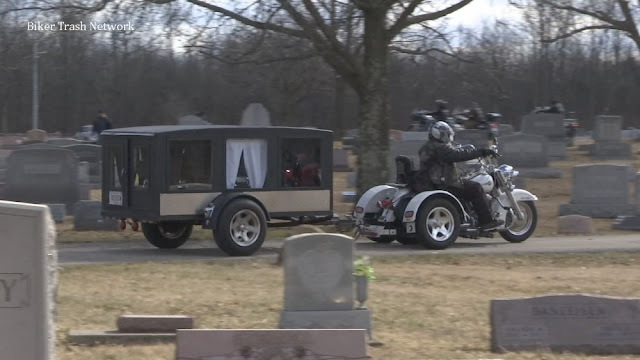 Harder was vice president of the Fallen Saints motorcycle club and was working with the Hells Angels motorcycle club when he began working with police in Project Forseti. The former cocaine dealer recorded conversations with other club members, leading to raids in January 15 and charges against 14 men. Harder later sued the federal government and RCMP for breaking promises when he was placed into witness protection, claiming officials endangered his life. When reached by phone Thursday, Harder’s lawyer Tony Merchant said he wasn’t aware of the charges against his client. “As I understand it, (Harder) had indicated that for his own defence he needed to have a weapon and the prosecutor knew that,” he said. Harder is expected to make his third court appearance Thursday afternoon in Saskatoon Provincial Court. 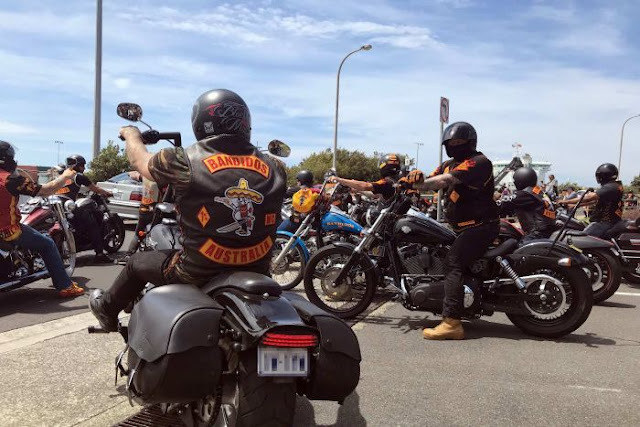 Tasmania, Australia (September 27, 2018) BTN — Anti-consorting laws designed to combat Motorcycle Clubs is gaining a foothold in Tasmania have passed through State Parliament. 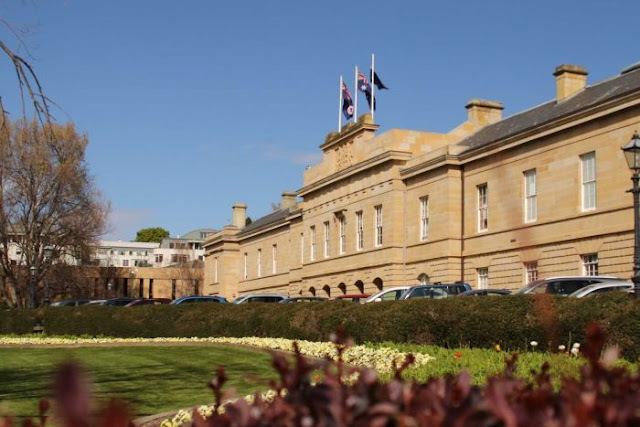 The state's Legislative Council agonised over the legislation late into Wednesday night before holding a final vote on Thursday morning. The House of Assembly then ticked off on changes made by the Upper House on Thursday afternoon. 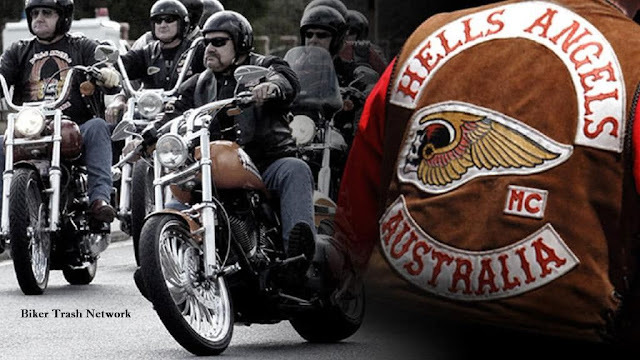 The quick passage of this bill, which was only tabled in Parliament 10 days ago, follows legislation passed at the end of August to outlaw motorcycle gang members from wearing colours. 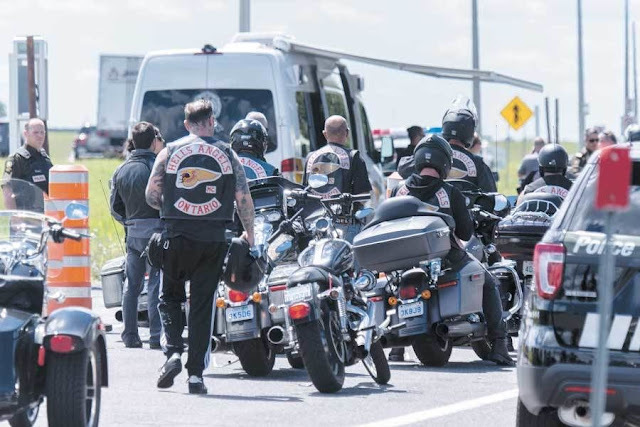 The Government hopes the anti-consorting bill will disrupt organised crime groups such as motorcycle clubs by making it illegal for a convicted offender to consort with another convicted offender within five years of being given an official warning notice. Five amendments to the bill made by the Legislative Council were accepted by the House of Assembly on Thursday, including one that would allow a court to issue a stay on a warning notice if it was being appealed by the recipient. Police Minister Michael Ferguson described the amendment as unnecessary and unwarranted and said he was "not happy" about it, but reluctantly agreed to ensure the bill would pass. Debate in the Legislative Council inched forward late into Wednesday night, with individual words in the legislation being singled out and objected to by Labor and independent members alike amid widespread concerns about civil rights, unintended consequences and the powers of law enforcement authorities in relation to a number of clauses and sub-clauses. Leader of Government Business Leonie Hiscutt told opponents the Government was "very disappointed" by their stonewalling, repeatedly defending the legislation as having "the most safeguards of all the state and territories in the country". "Police have done an enormous amount of work on this ... there's still misunderstandings of the bill," she said. In an at-times emotional marathon sitting, independent member for Huon, Robert Armstrong, who identifies as Aboriginal, warned members they could "put the whole Aboriginal community offside" with the debate over a particular sub-clause involving traditional Aboriginal definitions of family. "I'm not quite sure how to put this across because I've got to be careful," he said. "It's a very sensitive issue and you could put the whole Aboriginal community offside. I just warn people ... don't dig too deep here." Ms Hiscutt told the House the Tasmanian Bar had raised concerns about "possible inequities" if the bill was expanded to include a broader definition of family "to include extended family such as uncles, aunts, cousins of Aboriginal people only, creating an inequity between Aboriginal people and non-Aboriginal people". "It would not be appropriate to allow the extended definition of family for one race of people but only immediate family member relations for others." Ms Hiscutt said it was important not to offend but that a "broader concept of extended family" would widen the defence substantially, rendering the proposed consorting laws ineffective. But she also said "if it's the tradition, it will be respected". Labor accused the Government of failing to consult with the Tasmanian Aboriginal community over the proposed legislation, demanding proof it had spoken with Aboriginal leaders. Independent MP Rob Valentine told the House the issue was "a very sensitive thing" and "in a sense it puts us between a rock and a hard place". "I'm going to support the Government's amendment ... at the end of the day, it will be the Government that will have to deal with how they've chosen to go forward on this," he said. 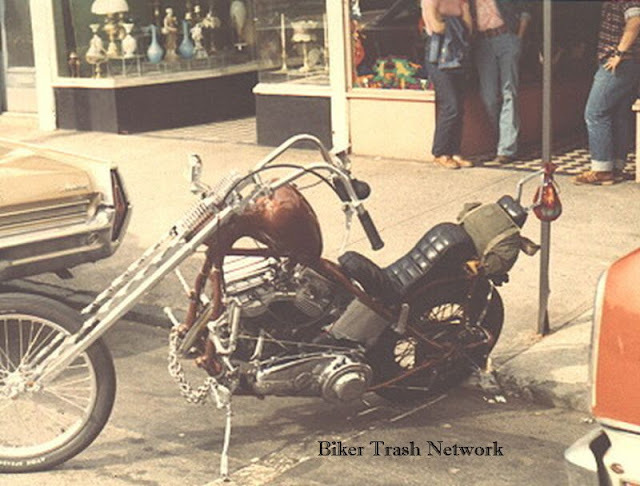 San Antonio, Texas (September 24, 2018) BTN — A federal judge has sentenced the former National Vice President of the Bandidos Outlaw Motorcycle Organization to life in prison, the Department of Justice announced Monday. 59-year-old John Xavier Portillo will serve two consecutive life sentences, plus twenty years, for racketeering and drug trafficking charges. Portillo was also ordered to forfeit his motorcycle, three firearms, and $17,827.20 seized from his residence in 2016. 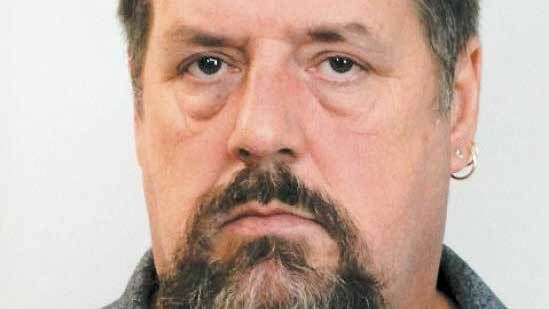 Jurors convicted Portillo and National Bandidos President Jeffrey Fay Pike on 13 charges in May after a nearly three-month trial. Pike faces up to life in prison and is set to be sentenced September 26. 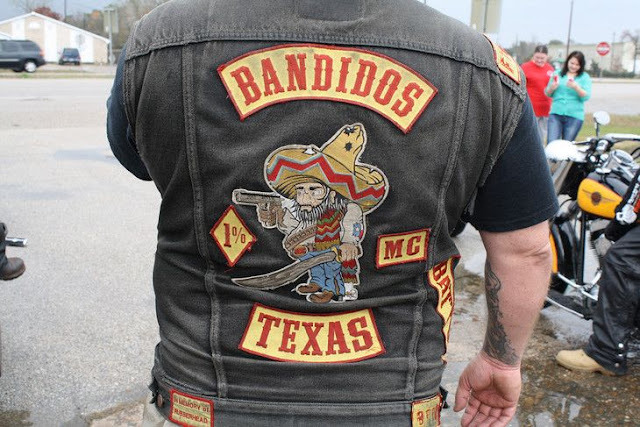 “The sentencing of Bandidos National Vice President Xavier Portillo is one more step in concluding a comprehensive investigation by DEA, FBI and our law enforcement partners into the leadership structure and criminal activities of the Bandidos Outlaw Motorcycle Gang,” said Will Glaspy, Special Agent in Charge of the Drug Enforcement Administration – Houston Division. “This investigation reflects law enforcement's commitment to make sure communities across Texas are safe and prevent gang members involved in drug distribution and other criminal activity from establishing a foothold in our communities." Lithgow, NSW (September 24, 2018) BTN — Four members of the Finks MC have been charged by Strike Force Raptor over an alleged road rage incident in the Blue Mountains. Just before 3.30pm on Saturday, June 9, a group of Finks MC members and associates were travelling city bound on motorcycles and in cars on the Great Western Highway, Blaxland, when they allegedly became involved in an altercation with the occupants of a white BMW at traffic lights at Layton Avenue. A short time later, officers from Blue Mountains Police Area Command drove across the incident and spoke to those who were on scene, however, many of the riders had already left the scene. Police were told the BMW and one of the bikes collided, causing the rider to come off the bike. He was not injured. Members of the group then allegedly hit and kicked the BMW while the occupants remained inside. Officers from the Criminal Groups Squad’s Strike Force Raptor also attended the scene and assisted with speaking to the remaining members of the group before commencing an investigation. During the searches, police seized Finks MC colours and paraphernalia, cannabis, and other items relevant to the investigation. 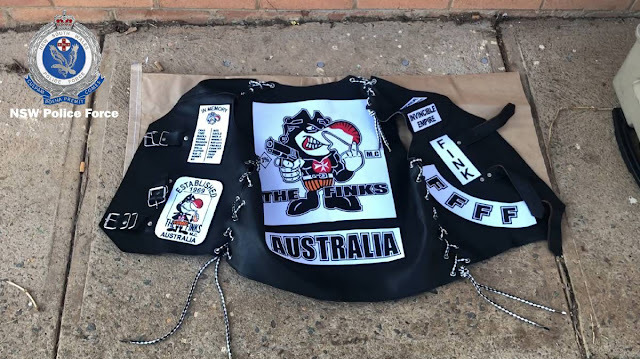 Three Finks MC members – aged 22, 27, and 47 – were arrested during the operation and taken to Riverstone Police Station. The 27-year-old man was charged with affray and destroy/damage property intend criminal activity of group. He appeared at Parramatta Bail Court on Saturday, September 22. The 22-year-old man was charged with affray, knowingly participate in criminal group assist crime, and possess prohibited drug. The 47-year-old man was charged with affray, destroy/damage property intend criminal activity of group, and possess prohibited drug. They were granted strict conditional bail and are due to appear at Mt Druitt Local Court on Wednesday, October 10. 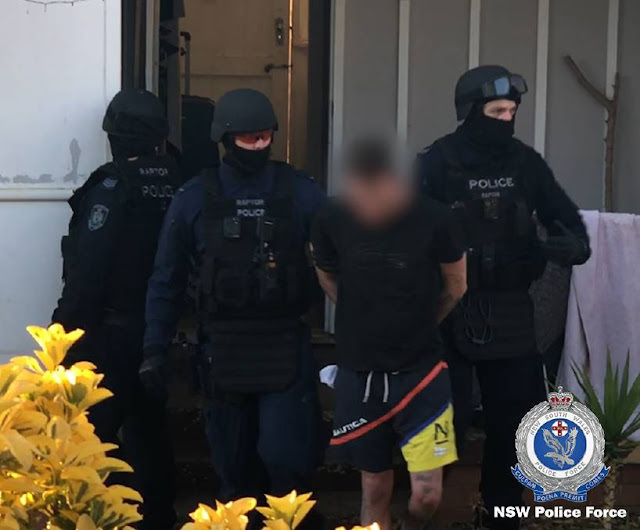 A fifth search warrant was executed at a home at Dapto, where investigators arrested a 20-year-old man. He was taken to Lake Illawarra Police Station and charged with destroy/damage property intend criminal activity of group and two counts of possess prohibited drug. The man, who is a Finks MC prospect, was granted strict conditional bail and is due to appear at Port Kembla Local Court on Wednesday, October 17. Inquiries are continuing and further arrests are expected. 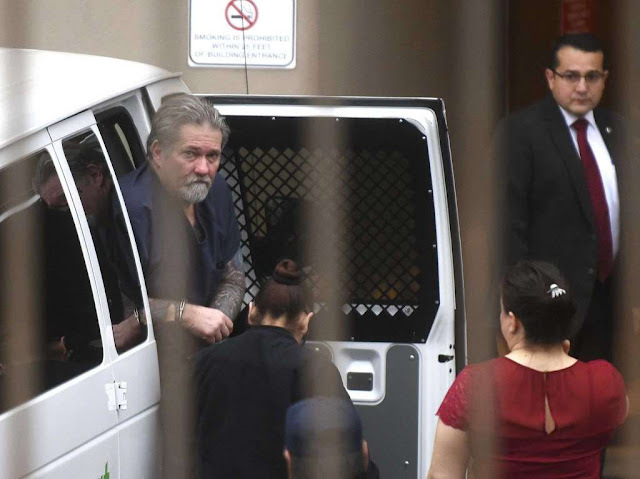 San Antonio, Texas (September 24, 2018) BTN — The Bandidos Motorcycle Club’s former second in command, a San Antonio man who directed the biker group’s violent racketeering enterprise, including drug dealing, extortion, beatings and murder, is expected to be sentenced Monday to life in prison. Senior U.S. District Judge David Ezra is scheduled to sentence John Xavier Portillo, the national vice president of the Bandidos, at a morning hearing. Portillo, 58, served as second in command for national president Jeffrey Fay Pike, 62, of Conroe, who led the club for more than a decade. 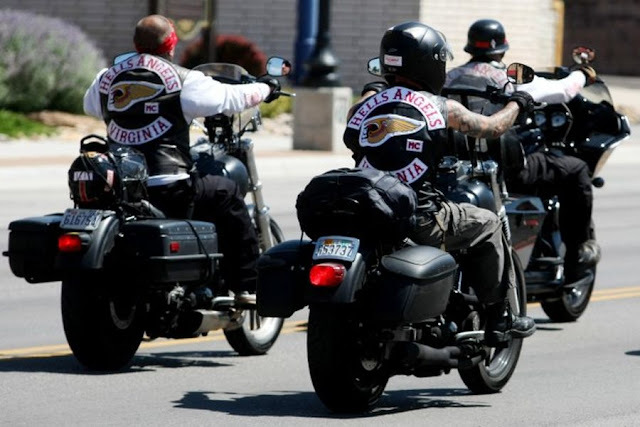 Both were convicted after a three-month federal trial in San Antonio of ordering and sanctioning a racketeering conspiracy that aimed at keeping the biker club's stronghold on its home turf of Texas. 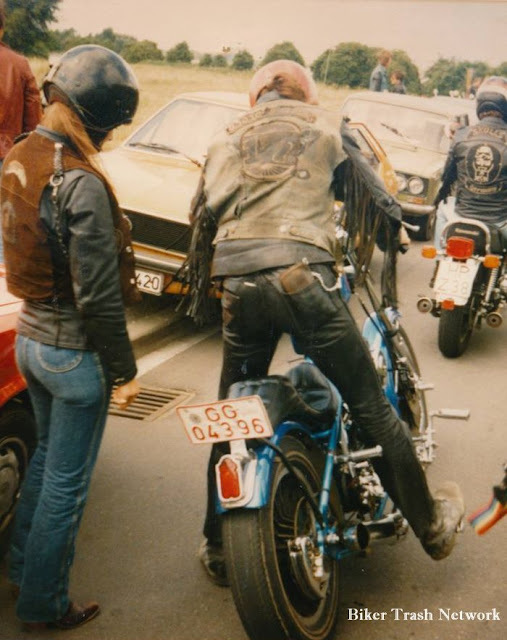 The trial showed that the Bandidos, once the second-largest biker club in the world behind the Hell’s Angels, split off from its international chapters in Europe and Australia because of turmoil in the ranks. By the time Pike became president in 2005, law officers estimated the Bandidos had 5,000 members in 210 chapters, located in 22 countries. But by 2016 — six years after Pike first sought to break away from most of the international chapters — the Bandidos had dropped to 100-plus chapters and more than 1,000 members mostly in the United States and parts of Latin America. 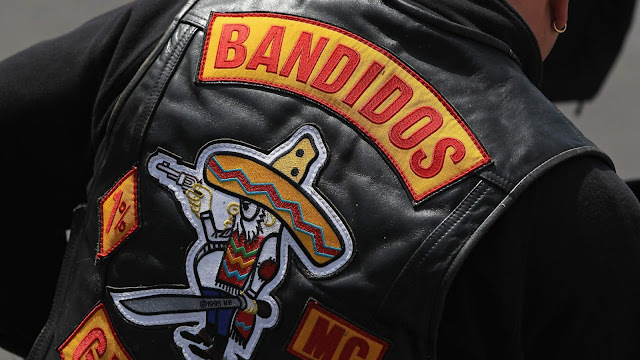 Despite its smaller numbers, the Bandidos still exerted clout. Texas’ deadliest biker shootout occurred while Portillo and Pike were at the helm. Neither Pike nor Portillo were at the May 17, 2015, shootout at Twin Peaks restaurant in Waco that involved other Bandidos, members of the Cossacks Motorcycle Club, some of their support clubs, and police. That incident resulted in nine bikers being killed, 20 injured and nearly 200 being arrested on state charges of engaging in organized crime in prosecutions that have yet to result in any convictions. None of the charges against Pike and Portillo were for the Twin Peaks shootout, and during the federal trial, the two Bandidos leaders challenged the government’s contention that they were the bosses of what the feds called “the mafia on two wheels.” The pair denied ordering, authorizing or sanctioning the criminal activity of their fellow Bandidos, and Pike claimed local Bandidos chapters were autonomous and didn’t act on orders of national leaders. John Xavier Portillo, former national vice president of the Bandidos, arrives at the San Antonio federal courthouse for the first day of his racketeering trial on Tuesday, Feb. 27, 2018. Pike is scheduled to be sentenced by Judge Ezra on Wednesday, and also faces life in prison. Both men are appealing. 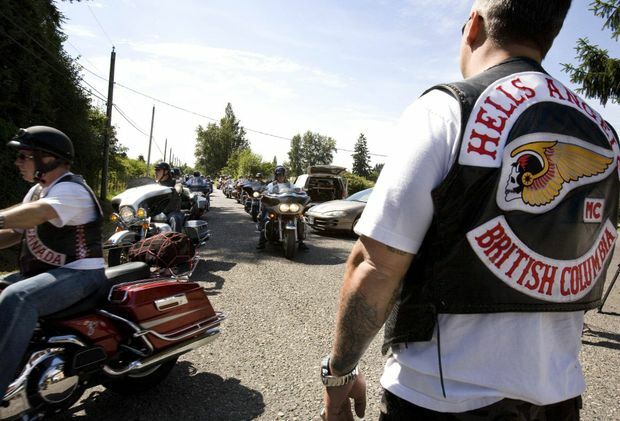 Medford, Oregon (September 22, 2018) BTN— A man believed to have headed the local chapter of a motorcycle club has been sentenced to probation for his role in a firearms deal with undercover federal agents. 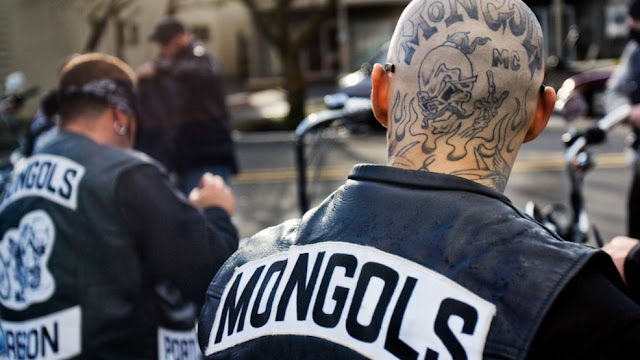 Silva, who police believe was president of the Southern Oregon chapter of the Mongols MC during the summer of 2017, bought six guns, including the sawed-off shotgun, Aug. 14 of last year. Silva professes to have resigned from the club since he was charged last year. In court filings, his public defender, Brian Butler, argued that Silva has completed drug treatment, maintained full-time employment and has complied with terms of his pretrial release. 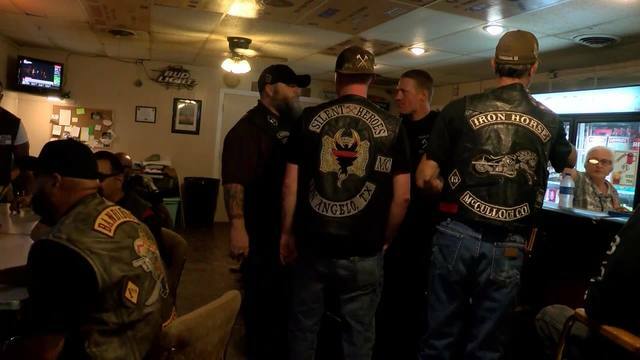 Greenville, VA. (September 10, 2018) BTN — An alleged fight between rival motorcycle clubs sent two men to a hospital in Augusta County. Investigators say not a word was said before the violence started early Monday, September 10. 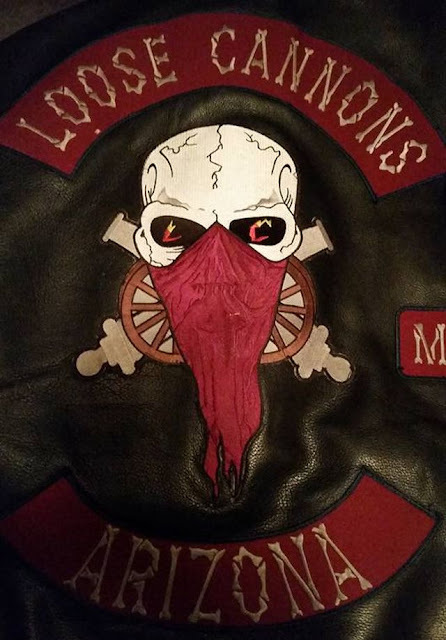 According to Sheriff Donald Smith, members of the Hells Angels from New York attacked two members of the Pagan's Motorcycle Club outside an inn on Route 11 around 3 a.m. Monday. One man was beaten, and a second man was shot. 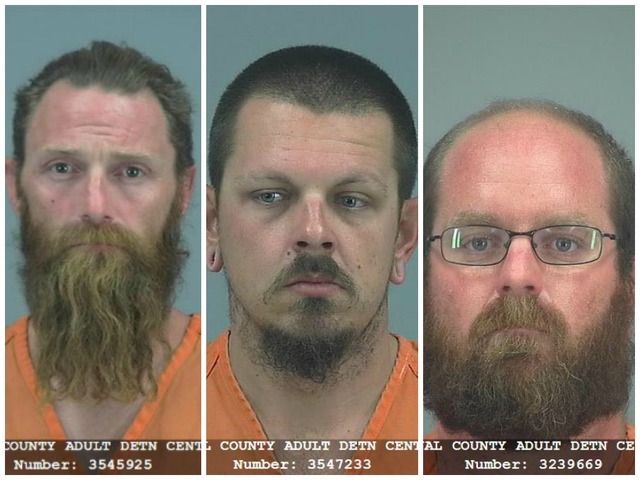 "Both had been at a convention-type thing for the their clubs, and were just passing through the area, and they ended up meeting down in the Greenville area and this is the end result of it," said the sheriff. 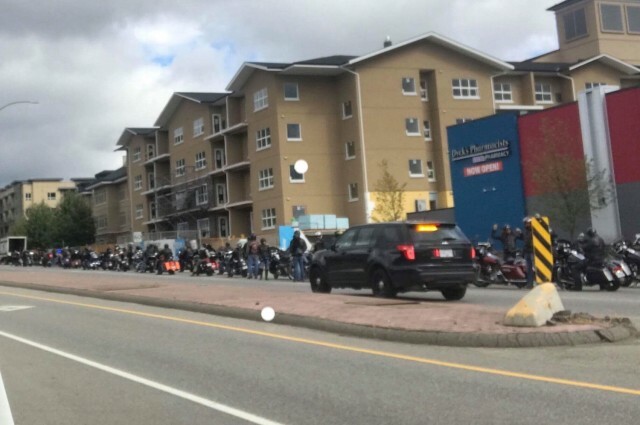 "It looks like that the Hells Angels were there first and then the Pagans just showed up to rent a room and it looks like the two just clashed. The one just attacked the other one." The shooting victim is said to be in serious, but stable condition. The victim of the beating has been treated and released. Both men are from Virginia. Members of the Staunton Police Department assisted in searching the motel. Authorities seized eight Harley Davidson motorcycles, as well as other items. During the early morning hours (approximately 0253) on Monday, September 10, 2018, the Augusta County Sheriff’s Office responded to a shooting at 3554 Lee Jackson Highway in the Greenville area. When deputies arrived on location they found a male victim who had been shot and an additional male who was beaten. Deputies secured the motel and established a perimeter around the motel. Tactical teams from the Staunton Police Department and the ACSO executed a search warrant on three rooms. At that time seven members of the Hells Angels Motorcycle Club were detained without incident and transported to the ACSO to be interviewed. 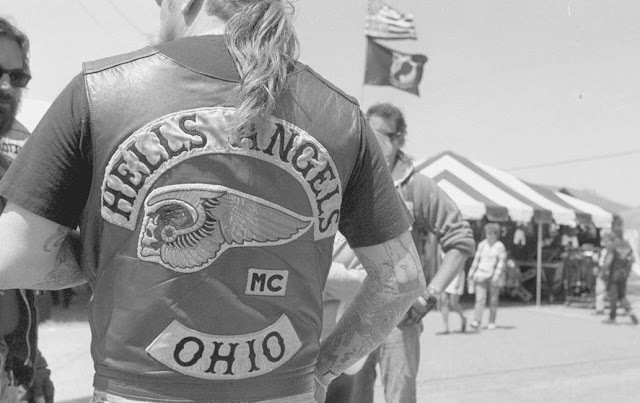 The Hells Angels are from the New York City area. Use of a firearm in commission of a felony. 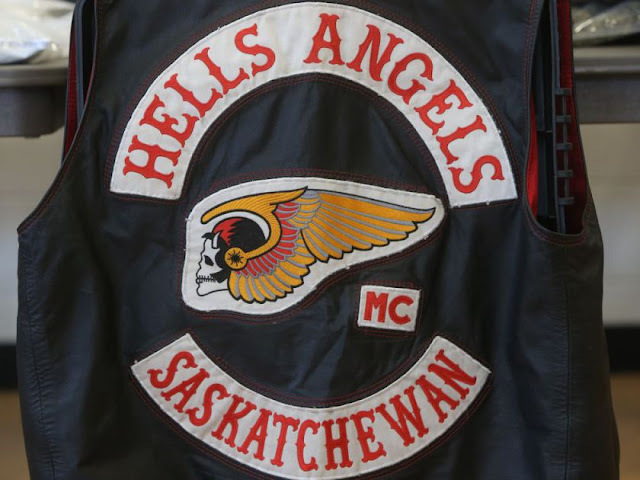 As a result of the search warrant numerous Hells Angels’ clothing, jewelry, and motorcycles were seized as part of the investigation. Both victims are members of the Pagan MC in Virginia. The Augusta County Sheriff’s Office is investigating an early morning shooting in Greenville, VA. The preliminary investigation revealed that one man was shot, and another was assaulted. The shooting victim was transported to the hospital where he is undergoing surgery. The male who was assaulted was also transported to the hospital to be treated for his injuries. Seven men were detained at the scene, and the investigation is ongoing. As a precautionary measure, schools and a daycare in the area were notified of the incident.